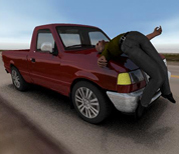 Our primary emphasis is in crash causation and collision analysis. This is a scientific process employed to learn how and why a traffic collision occurred. Using methodologies grounded in physics and mathematics, we determine vehicle speeds and consider the human, vehicle, highway, or environmental factors that may have contributed to the incident. 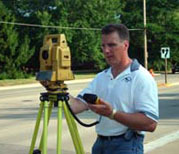 Documentation Analyzing scene and vehicle data are the first steps to completing a causation analysis. AnalysisThe collision data is processed to determine how and why the incident occurred. PresentationTools such and simulation and animation can be used to visually show what happened. 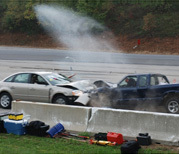 Our staff is routinely involved in training and testing to stay current in crash reconstruction technology. We have been recognized as experts in court systems throughout the midwest, and have been called upon for consultation from persons throughout the US. Articles and papers on collision analysis authored in part by Great Lakes Crash Analysis have been accepted for publication in such mediums as the Accident Reconstruction Journal and the Society of Automotive Engineers Technical Papers Series. To document collision evidence, GLCA uses electronic total stations and unmanned aerial systems to forensically map the incident scene. This allows us to prepare two and three dimensional diagrams and high quality ortho-mosaic aerial impages of the incident scene. We also use the latest technology to recover crash data from Event Data Recorders (EDRs) in passenger vehicles and heavy duty trucks. This complex field requires constant training and research. The use of data from an Event Data Recorder can help to reconstruct a crash incident. 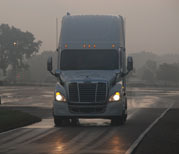 GLCA personnel are trained in special crash situations such as those involving motorcycles, pedestrians, bicycles, or heavy trucks. We also have the ability to extract data from heavy truck engine Electronic Control Modules (ECMs).